I am Coopler. 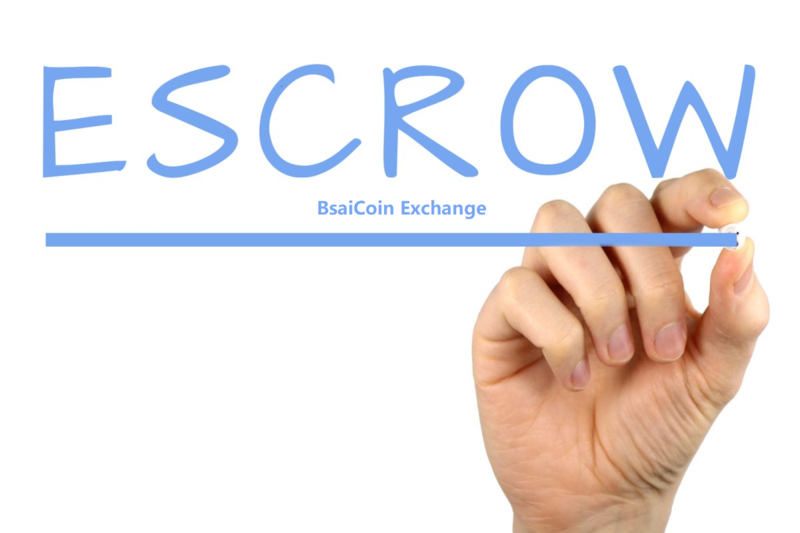 I would like to introduce Bsai.Io advertising system according to my personal experience. 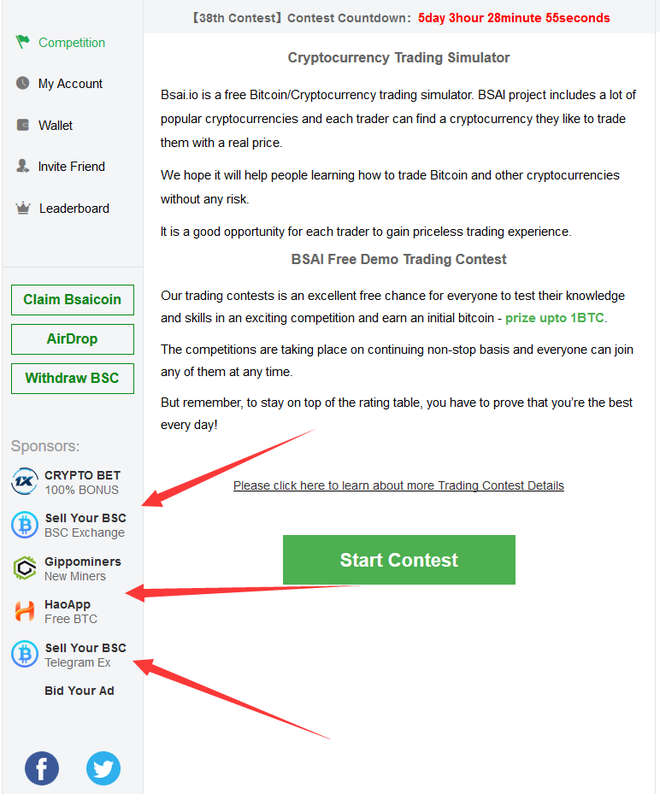 It's easy to find "Bsai Sponsors Slot" on the left sidebar of all pages. I researched this feature several days ago and found it's really a good idea. There are 5 advertisement slots in total on side bar. If you wanna advertise there, you have to apply bid for a slot. 1.The bidding starts at 2000 BSC，and you could bid a higher price directly. 2.All bid prices must be integer multiple of 2000 BSC. 3.Your ad slot will be replaced when someone bids a higher price than yours. But all ads are guaranteed to be up for at least 12 hours. We will keep ads up for 10 days if it has always no higher bids. 4. The logo should be square. The first and second line of texts should be within 14 and 12 character, including a blank. 5.Must contact email – admin@bsai.io with your biding price and ad slot before you send BSC. I decided to try to make bidding after I researched their all auction rules. It cost my 30K BsaiCoins for 2 slots (Slot 2 and Slot 5). My advertising is a new telegram group. Since my ad started been displayed, the number of people in group is increasing. Now there are 343 members in my group, not more than 24 hours. It seems it's an effective advertising system. 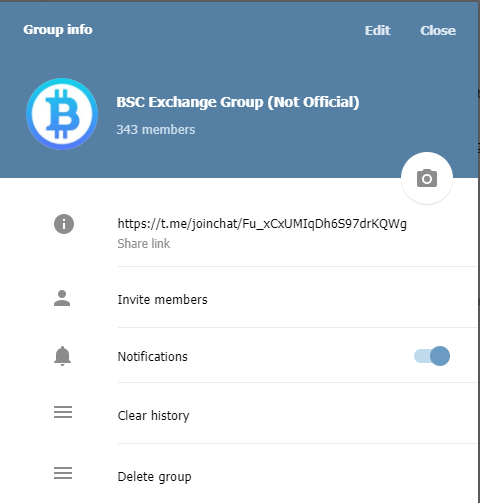 It brought a good crypto traffic and real users to my new group.